Cold calling by phone just might be coming to an end for modular home factories. Blanket postcard and direct mailings are also seeing the light coming from the train at the end of the tunnel. Email is the second best way to get new home builders to consider either buying their next modular home from your company or actually switching from site building to modular construction. Your website is still the best way to attract builders' attention. When a modular home factory sales rep is ready to send out emails to prospective builders, you must be organized. I'll repeat that for the marketing challenged...you must be organized. Sending out the same email to twenty builders in the area you need filled can be done quickly but will almost always result in no response. 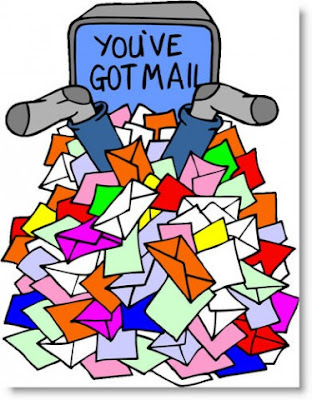 We can all smell mass emails now and avoid them like the plague. Avoid Mass Email Messages - Make each one unique. Look at each builder as an individual. Check out their website and then determine what you want to say to them. Are they a small builder, a large builder, a real custom builder or one that is already using modular? Their website is a wealth of information. If the only email on their website is "info@" or "reply to", then you have to find the right person's email address. Call the company and ask. Tell them who you are and that you would like to send the owner an email with some information about marketing and new home sales. Usually works like a charm. If they won't give it to you, do you really want to work with a company that doesn't want to tell you the owner's name? Important Note: sometimes when you call to get the name, that person will actually be on the line. Have a phone cold call presentation prepared if that happens. Here are some email tips to help get a reply or even better, an appointment. Never send an attachment with your cold calling e-mail. Prospects who don’t know you are not going to open a file and risk a virus. Even a company logo will give the indication that there is an attachment. When sending an e-mail, send it from a named individual, not a company, and always have your company name, web site URL, telephone number and name in the e-mail signature. When sending an unsolicited e-mail, keep it short -- less than four paragraphs. This is a key tip to remember. People think of email as fast food for the brain. To short and they feel cheated. Too long and they get tired reading it. When sending an e-mail, always use bullets and numbers in the body. People’s eyes are immediately drawn to bullet points even before they read the message. Always describe in your e-mail how using your company can help the modular builder increase income, decrease expenses or work to help them convert to modular housing. Give a very brief overview of the company. Always include a call to action step for the prospect to take. The best is to simply ask them an easy question and get their reply. Pay special attention to the subject line of your e-mail -- it should be less than 40 characters or mention something that will intrigue your prospect. A new home builder should be checking their email at least twice a day and even more often with smart phones so you’ve got to grab their attention quickly.